Bob Jungels (born 22 September 1992 in Rollingen / Mersch, Luxembourg) is a Luxembourgish road bicycle racer for Etixx–Quick-Step. He competed in the Tour de France for the first time in 2015, finishing 27th overall and 5th in the young rider classification. Jungels signed for Etixx–Quick-Step for the 2016 and 2017 seasons. He was named in the start list for the 2016 Giro d'Italia where he would finish 6th Overall and take the youth classification..
↑ "RadioShack-Leopard (RLT) – LUX". 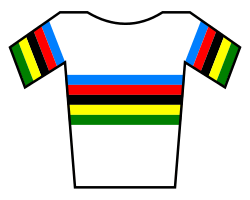 UCI World Tour. Union Cycliste Internationale. Retrieved 10 January 2013. ↑ as part of the UCI World Tour team Trek Factory Racing "2015 Tour de France start list". Velo News. Retrieved 2 July 2015. 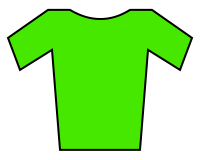 ↑ "99th Giro d'Italia Startlist". Pro Cycling Stats. Retrieved 6 May 2016.